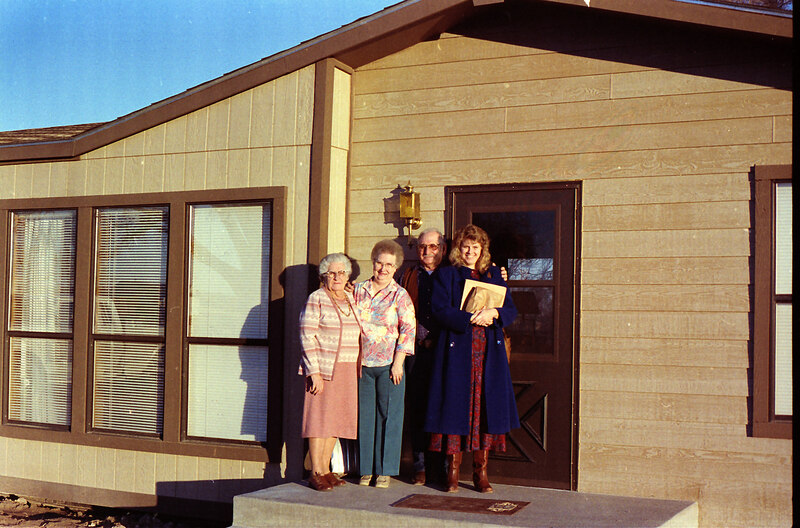 In the previous post on this topic, I shared with you the story about Ted being the first of our Rademacher branch of the family to come to Longmont. 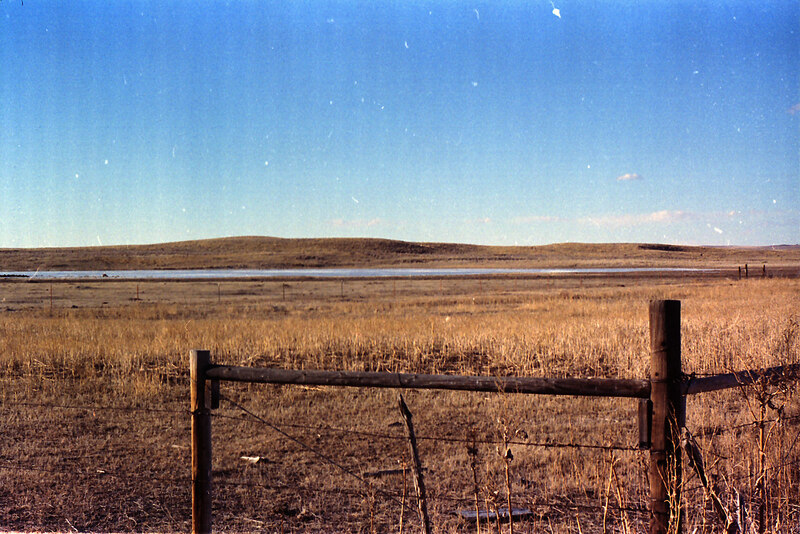 He had been living in Snyder with his parents and siblings. In 1926, at the age of 19, he was sent to Longmont with some livestock and household goods to get established on a place north of Longmont along present-day Highway 287. He came by wagon and the trip took several days. He was accompanied by a hired man. Fast-forward more than 60 years to the year 1988 when Dale proposed to me on the day after Thanksgiving. A couple of weeks later I sent out Christmas cards to friends and relatives announcing my engagement. One of the cards went to a former consulting client of mine, Mr. Gordon Williams of Snyder, Colorado. 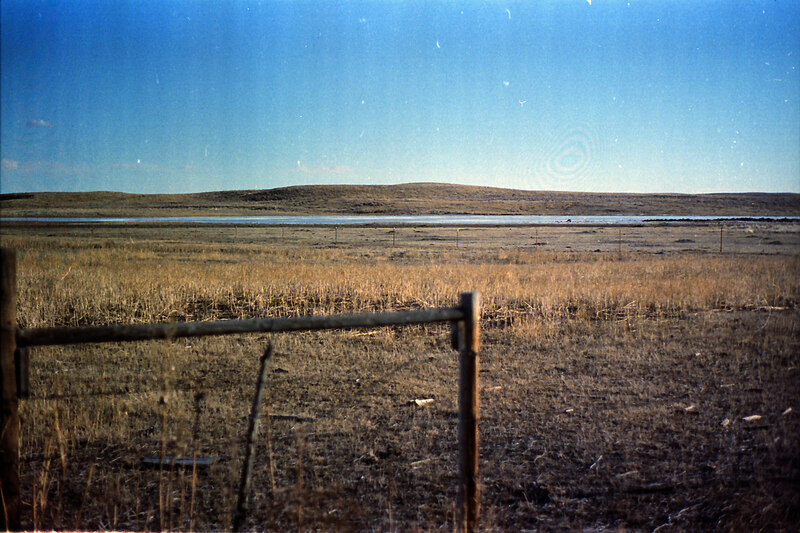 Gordon was on the Board of Directors of a ditch company, and I had spent quite a few years helping them get a decree for a plan of augmentation in the Greeley Water Court (for those of you not in the know on water rights, it’s a legal framework that allows them to use groundwater wells in conjunction with their surface water rights). It had been a long and difficult project and I had spent many hours out in Morgan County, going over paperwork at the kitchen tables of various farmers out there. Gordon treated me like a granddaughter and had opened up his home to me on a couple of occasions when I needed to stay the night in Morgan County. I don’t think he’d held that Christmas card in his hand more than 30 seconds before he picked up the phone and called me, “my mom used to be neighbors with the Rademacher family!” he said. At that point, I knew next to nothing about the family history and assured him that no, the Rademachers were from Nebraska. But I told Dale about the phone call. Dale thought there might be something to it, that the Rademacher family had lived out near Brush many years ago. So I called Gordon back and he insisted that Dale and I come out for Sunday dinner to meet his mother. So on a cold January day in 1989, Dale and I had dinner with Gordon and Thelma Williams and Gordon’s mother, Gladys “Punk” Williams. 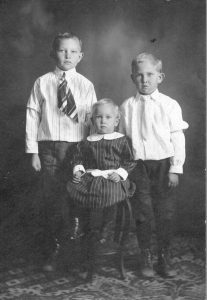 Punk had grown up next door to the Rademacher family and remembered very clearly their young daughter, Mary Rademacher, who died in 1924. Punk was in her 90’s when we met her and was still sharp as a tack. She remembered where the house was, where the general store had been, and was even able to direct us to the farms that had been in the family. Punk had kept a picture all these years – it was the one of Ted, Clem and Albert (at left). She was thrilled to be able to give it to us, knowing that it finally found its way back to the family. Best of all, she knew exactly who had helped Ted move out to Longmont, it was Len Lake and he was still living in the area! We visited Len; he was pretty hard of hearing, so it was difficult to communicate with him. But he remembered the trip he had made with Ted all those years ago. In 1989, Snyder was a rough little out-of-the-way town but still had a Mexican restaurant that drew in folks from quite a ways around. I understand that the restaurant is gone now and Snyder is rougher yet – no businesses left and not a place you’d want to raise your kids. All of the Williams’ are gone now – Punk died not too long after we met her. Gordon passed away a few years after we were married. Thelma moved away and I lost touch with her, I imagine she is gone now too. I’m so grateful that we had the chance to have that Sunday dinner 25 years ago. I hope you have enjoyed this 8-part series about the Rademachers and their life in Snyder. Stay tuned, the next series I start on will be about the family of Ted’s wife, Elizabeth Kreifels. Here are some photos from our trip to Snyder in 1989. The Rademacher family once lived in a home on this site, but the building is no longer standing. This was once the home of the Rademacher family. 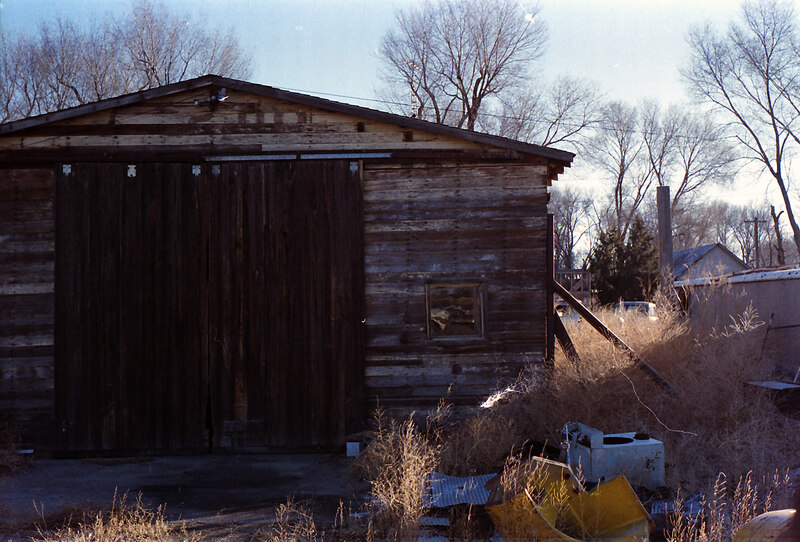 The General Store was located here; the main building is gone, all that's left is this garage. 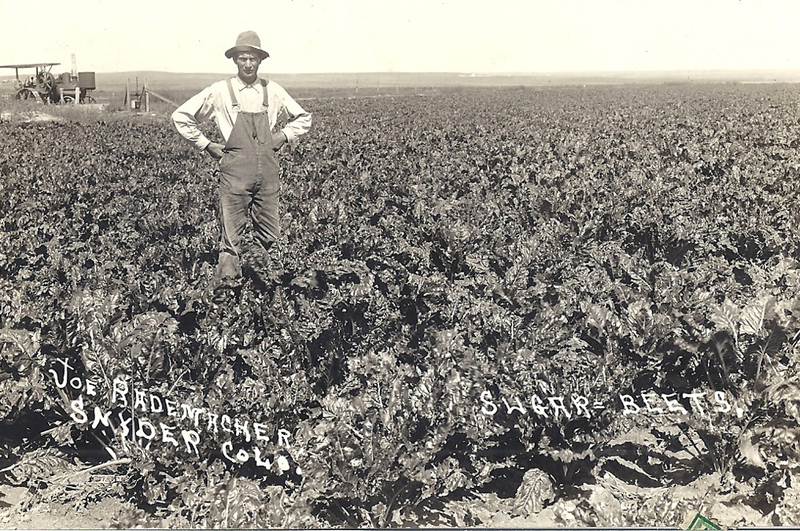 The Rademacher family farmed this ground. Is this the same farm? Here's Joe Rademacher in 1917. 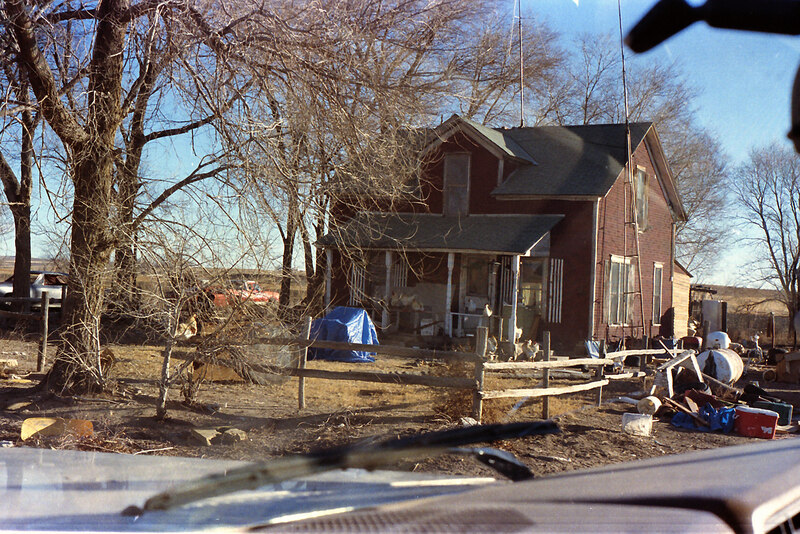 Another view of the Rademacher farm. 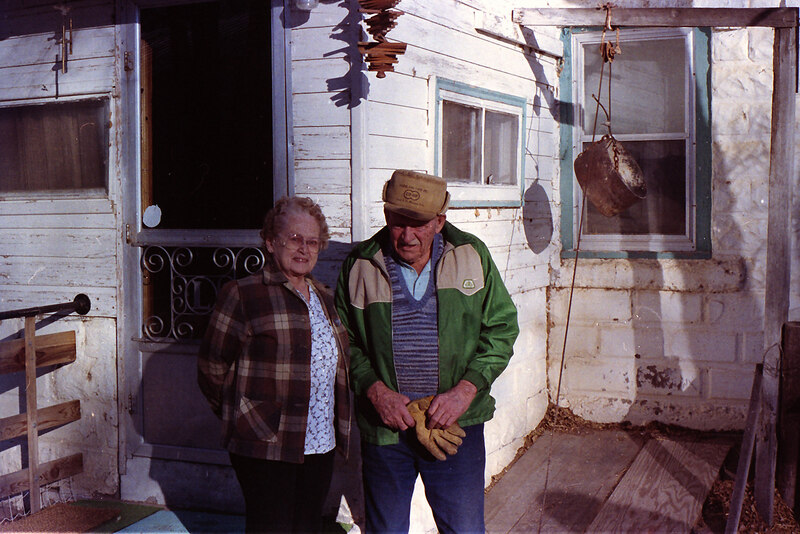 Len Lake and his wife. 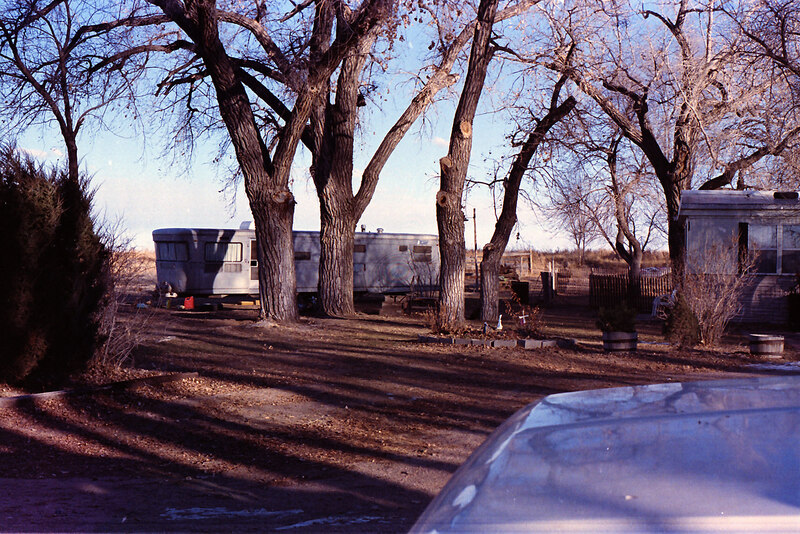 Len helped Ted move the wagons and livestock to Longmont. I can still see the captions. Great story and pictures.